At K and G Limousine, we offer all the services you need to get where you need to go. 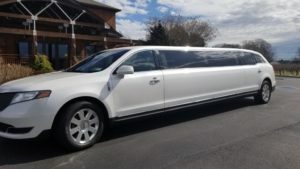 Our fleet of vehicles includes luxury sedans, Lincoln MKT, Cadillac Escalade SUV, Lincoln MKT Sedan, Mercedes Sprinter Van, as well as limousines that can seat a whole business meeting or party. When in need of Williston Park limo service or Williston Park town car service, call K and G Limousine. At K and G Limousine we take pride in providing you with superior Williston Park limousine services. We want your stay in Williston Park to be a pleasure you treasure. Reliable Williston Park Limousine Service That Will Get You to the Airport & Everywhere Else Without Any Hassle & Frustration. K and G Limousine delivers convenient, safe and comfortable door-to-door Williston Park airport transportation, with pick-up and drop-off service to just about anywhere with an address: homes, hotels, offices, points of interest, train stations, airports, and cruise terminals. Over the years we’ve developed a truly stress-free town car and limousine service experience that is trusted by Many of satisfied customers. K and G Limousine offers Williston Park to JFK airport, Williston Park to LGA, Williston Park to MacArthur Airport, Manhattan to/from Williston Park and Town car service to/from the airport, safe and on time. No matter the age, booking a party bus rental or limo rental on your birthday adds that WOW factor. We know your wedding is one of the most important days of your life. we take pride in offering the best Wedding Limo service packages available. We offer you a Wedding Limo Package that is tailored to fit your needs as well as your budget. With our experience providing limousine service for many weddings. we are best wedding limo services provider on KNOT. At Williston park Wedding Limousine we make sure that you will arrive in style on this very important day in a luxurious stretch limo, our chauffeurs are experienced with special occasion and wedding limo transportation.